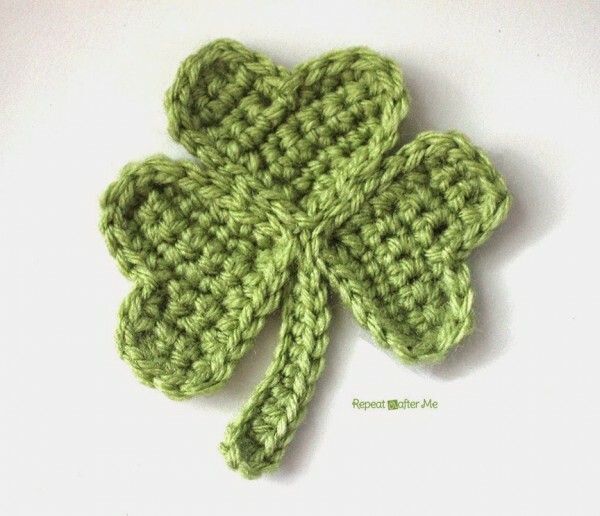 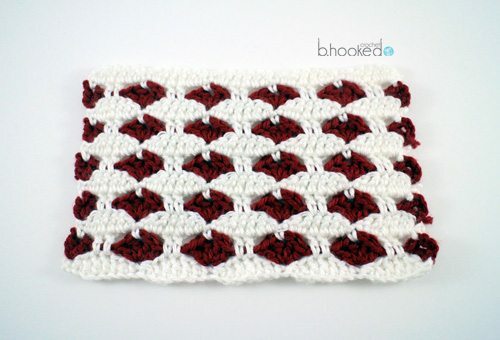 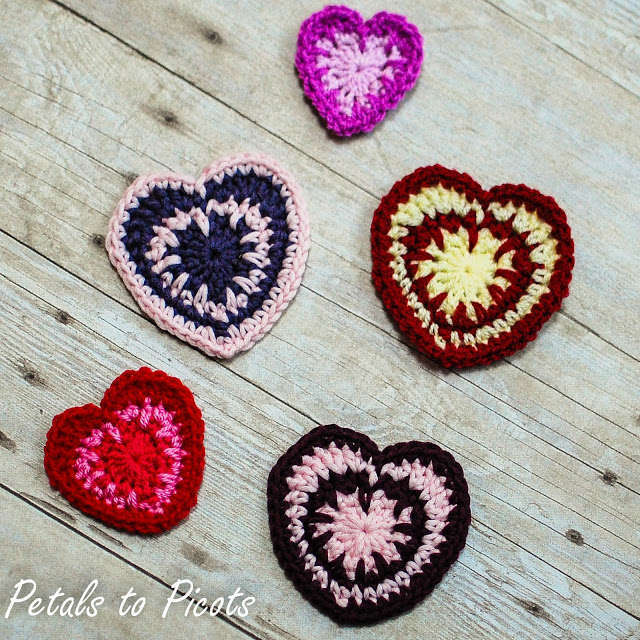 With Valentine’s Day around the corner I couldn’t help but do a roundup of patterns for crochet hearts. 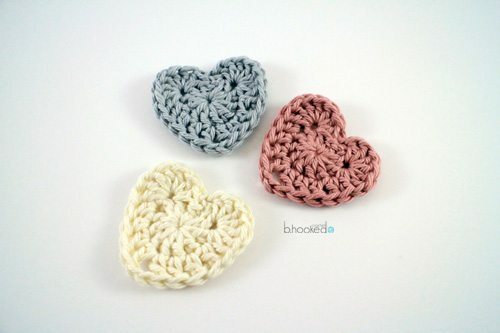 The great thing about these, though, is that they aren’t holiday-specific; you can make crochet hearts all year long! 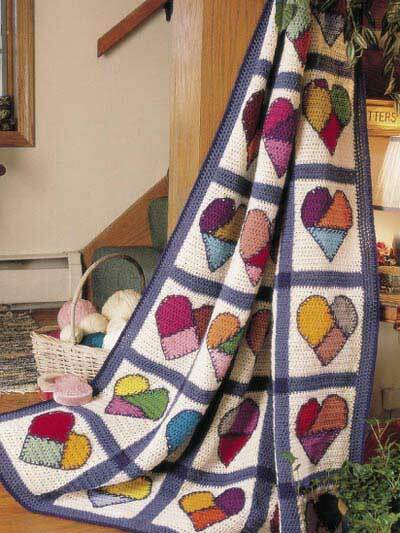 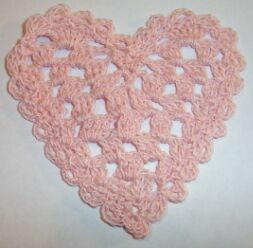 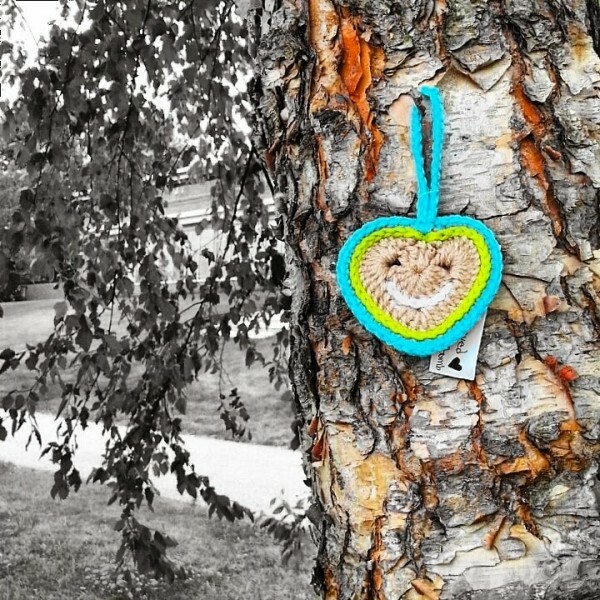 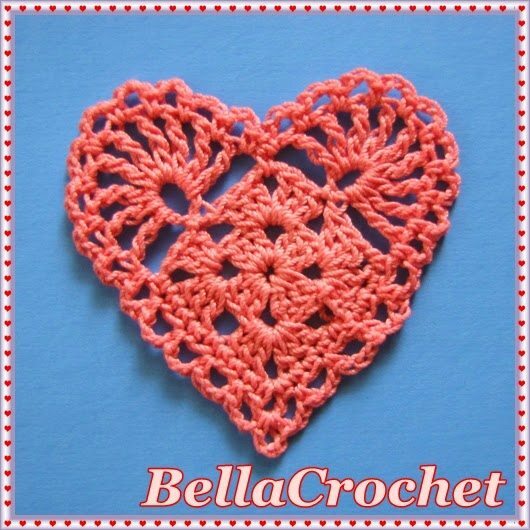 Crochet hearts are great as appliqués, bunting, coasters, gift tags, yarnbombs and more. 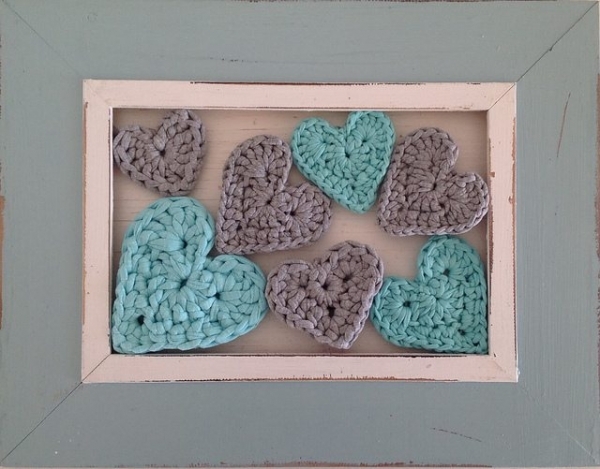 T-shirt yarn crochet heart pattern for sale from Crochet in Paternoster. 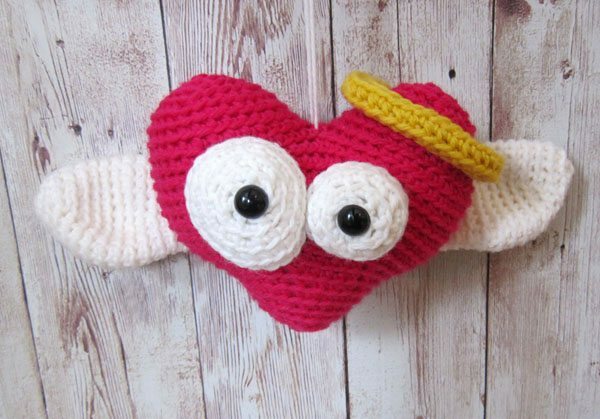 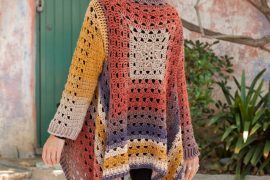 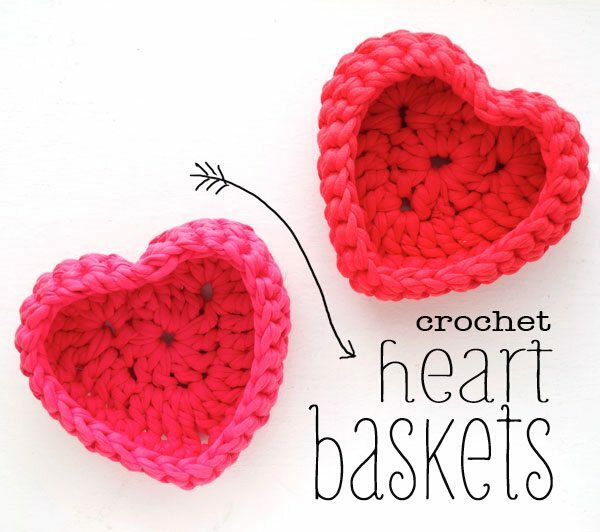 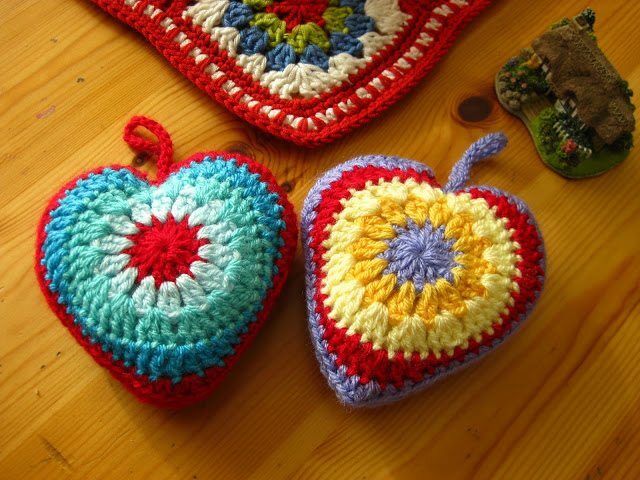 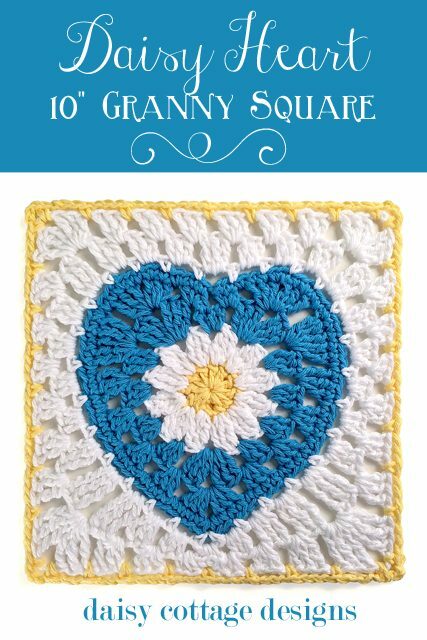 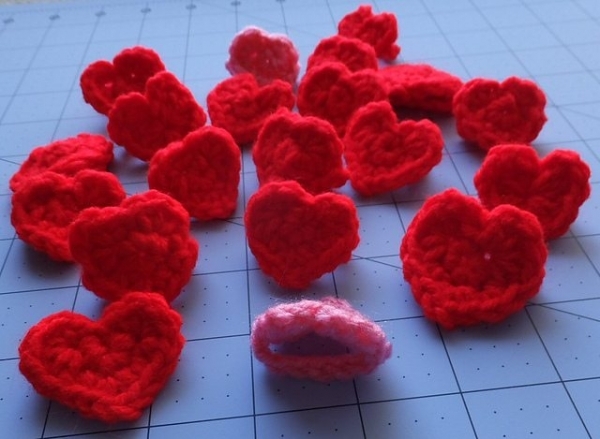 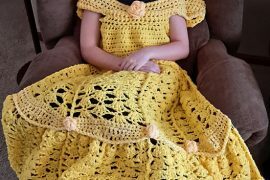 She’s also doing a great series right now rounding up tons of terrific crochet heart patterns in various themes for Valentine’s Day so check out all of the recent posts to see those!